Lets meet and sing Kirtans together. Kirtan is a call and response style of singing and chanting together various Mantras. Please join us for a relaxing evening with Kirtan Music, Light Vegan Refreshments and special Gifts for the Holiday Season. 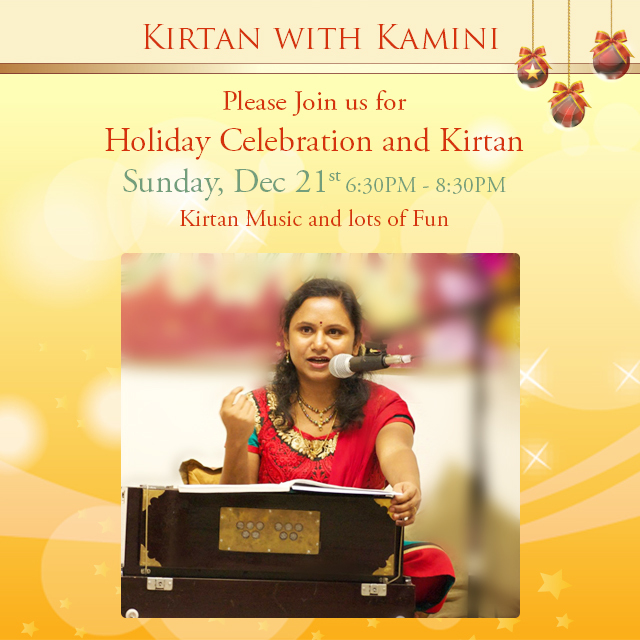 Kirtan will go from 6:30PM – 7:30PM , so that we have time for some Food and Fun !